For all the spam fighting that Google does it is amply rewarded by a captive GMail audience for targeted advertising. The GMail spam filter has made incredible developments over the years and continues to adapt. Its excellent features have garnered it a devoted engaging audience, the GMail users. GMail has some powerful lessons to teach digital publishers. The way it has tackled spam, at the same time working on making inbox clutter free and ever-improving its user-experience, is worth looking deeper into. Vuukle has multiple advertising and technology partnerships with Google and we continue to work together to further the state-of-the-art in fighting online spam and trolls. Digital publishers should take note. If you want to tackle any of the following: Spam, hate speech, trolls ; heuristic technologies are the most promising solution. 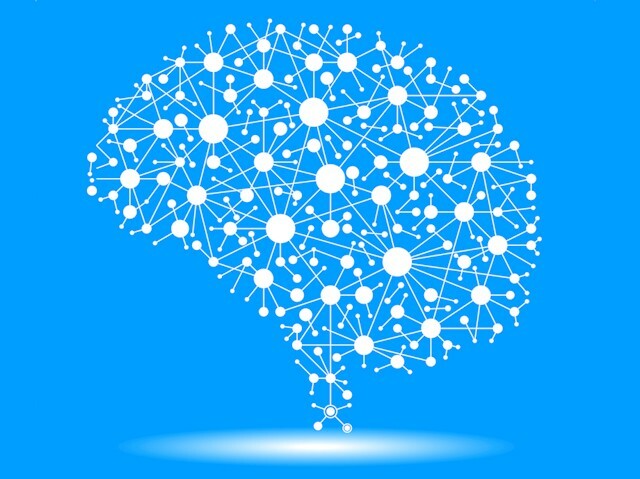 Google’s vast online services make the use of neural networks- fast,self-learning, brain-like network systems. Even Vuukle uses self-learning technology to curb spam and trolls. Gmail achieved the most efficiency after having adopted these artificial brains into its spam filters. Google says that its spam rate is down to 0.1 percent, and its false positive rate has dipped to 0.05 percent. This is a major improvement compared to the state of email systems in 2001. JohnRae Grant is a senior product manager for Gmail. It is now used by 900 million people across the globe. Gmail’s spam filters don’t just apply pre-defined rules. They create new rules themselves as they go along. Adapting these technologies sets a class apart. Especially with most users being spam and troll averse. By using AI one can even gauge how eddectively Vuukle spam filters work. No garbage allowed to be posted at all, plus these filters continuously learn and adapt. For most digital publishers a partnership with AI users like Vuukle is in itself a great start as compared to having to disable comments to avoid trolls. 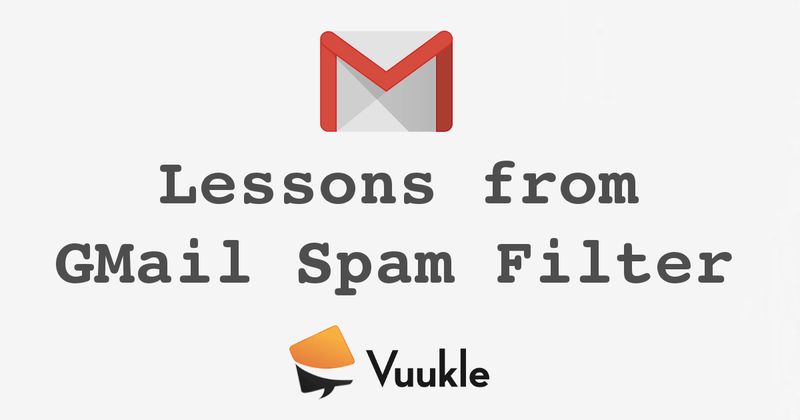 Google states that its Spam Filters are stronger than ever. More than merely applying the learning to the overall system, it is also adapting to individual preferences. This difference this makes is the user feedback becomes much more valuable for the user directly. The system adapts to user behavior while continuing to evolve itself overall. If there is anything which has made best use of user generated data then it has to be Gmail Spam Filter. It again goes on to show how efficiently the machine learning systems make the most of every user input. Every time you chose to “Report Spam” or “Not Spam”, it made a difference. The system adapted overall and also to your personal needs. Every user generated input is utilized. This is best ever creative system to deliver to users what they want and keep optimizing the service to the best of demand. It is not for nothing that GMail has such a loyal following. It makes the user feel cared for, it provides relevance, it makes you feel at home with the system. Fulfilling the few of the most important criteria. The ability to keep users at the top does not seem to affect the business GMail does in any way. If anything it has only helped. Targeted Emails from marketers is still a common feature. News letters, advertisements, are all still there but no Spam! 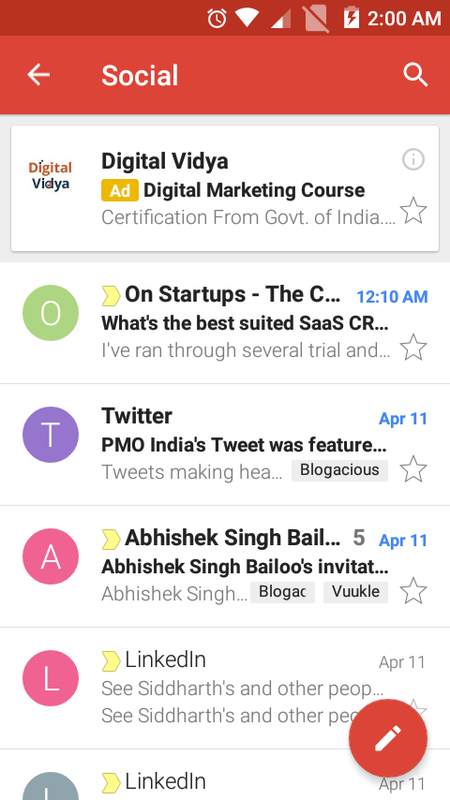 The best of it GMail is making most of the data by delivering better and relevant advertisement. 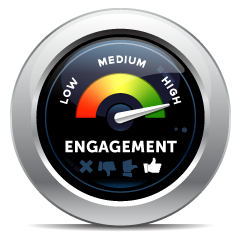 Its very effective for marketers as they get to target the most valuable probable consumers. Better Targeted Ads. No Spam! To that effect Google even launched Postmaster Tools. This enables high quantity bulk senders to get an idea of how GMail treats their emails. Essentially, data captured for GMail Spam Filter is also used for Postmaster Tools. But again continuing it stance on shutting down Spam, the service will be available only to legitimate users. GMail Spam Filter although just simply supposed to scan out bad emails has developed a lot. Today it not only delivers optimized performance but also continuously adapts, learns and keeps improving. Vuukle seems to follow the same principles. The efficient Spam filters, the easy-to-use moderating panel and adapt and learn and keep the user at the forefront while fighting the menace. They have even partnered with Google implementing AI to take down trolling and hate speech. Making most of the user generated preferences to deliver individually adapted experience. Making most of AI technologies for taking down spam and minimizing errors. While at the same time continuing to improve business opportunities. This is what makes the story of GMail Spam Filter so worthy of emulating. Vuukle has invested years of product development and working closely with thousands of digital publishers to bring you the same state-of-the-art in spam fighting technology.